Last week, Massachusetts celebrated the grand opening of the UMass Lowell Fabric Discovery Center, an advanced manufacturing research and development center that will focus on innovation in textile and electronic integration, aiming to advance and integrate technologies from three Manufacturing USA institutes: NextFlex, AFFOA (Advanced Functional Fabrics of America), and ARM (Advanced Robotics for Manufacturing). The center is in the same building that also houses the Massachusetts Medical Device Development Center and the New England Robotics Validation and Experimentation (NERVE) Center, which is also linked with ARM. The state had previously announced a $10M grant to create this center. 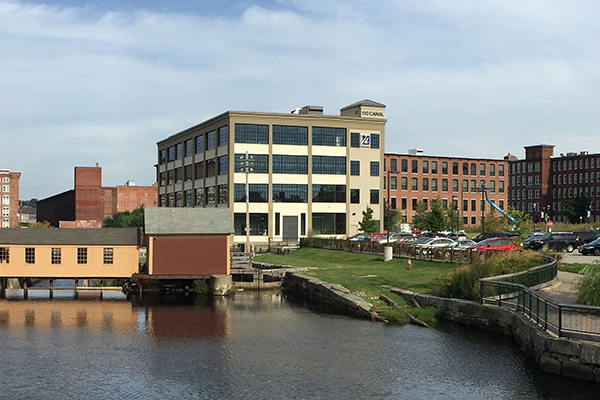 The 28,000-square foot Fabric Discovery Center located at 110 Canal St. in downtown Lowell features dedicated space for design, prototyping, pilot manufacturing and testing. Source: https://www.uml.edu/Research/fdc/. This partnership will enable advanced prototyping and testing, pilot manufacturing, human-robot interaction, and education and workforce development to serve the needs of manufacturers in Massachusetts and the nation. Leveraging UMass Lowell’s technical expertise and its Innovation Hub startup ecosystem, the center will develop new medical textiles, wearable electronics, photovoltaic fabrics, performance clothing, and textiles with desirable properties such as flame resistance, moisture control, thermal regulation and embedded sensing.